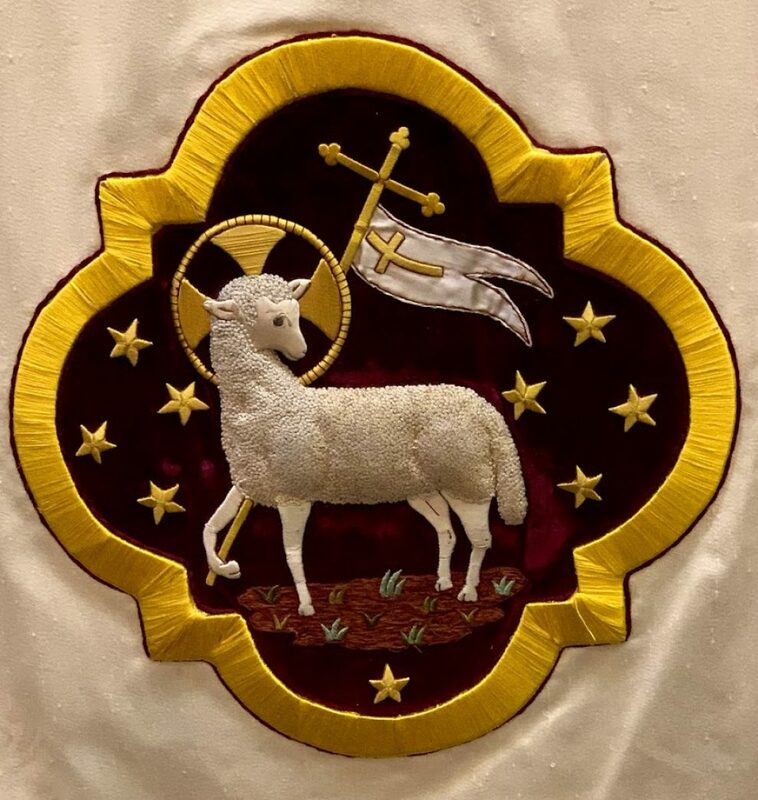 Our Verger, Sara Klingner, provided this information about the lovely antique altar frontal and markers in use at Easter (the bold type below was added). “Another Trinity treasure is the Christmas Rose. A photograph in the upstairs hallway shows it as it was in 1887, some sixteen years after the consecration of the sanctuary. Notice the frontal on the altar, the bible markers, and the pulpit fall in the photograph. This is the frontal as it survives today, its embroideries and fringe applied to a new silk brocade ground. (note that we removed the rotting fringe last year when we did some repair work on frontal). The pulpit fall and book marks were recently found in an old box in a sacristy cupboard.